Feeling adventurous? Then the all-new 2019 Honda Passport is sure to do the trick. Arriving soon to showroom floors, the all-new Passport promises to turn all your departures into memorable adventures thanks to potent power, flexible versatility and plenty of integrated tech for everyone. Equipped with a powerful V6 engine paired with the available i-VTM4® AWD system, you can tackle any on- or off-road excursion effortlessly. In addition, the new Passport comes with standard peace of mind thanks to the impressive array of advanced safety features found throughout. Once the new Passport arrives, you’ll experience adventure like never before. You’ll love every experience behind the wheel of the all-new Passport thanks to the potent V6 engine paired with the nine-speed automatic transmission delivering smooth yet powerful performance on any terrain. Additionally, adaptability is the Passport’s middle name courtesy of the available Intelligent Traction Management System with Snow, Mud and Sand Modes keeping you in control on the go. Regardless of the elements, the new Passport is prepared for any challenge. The 2019 Passport provides plenty of fun and connectivity for any journey near or far. Thanks to the available Apple CarPlay™ and Android Auto™, you can easily access your music and messages while keeping your focus on the task at hand. In addition, say goodbye to stopping for directions courtesy of the Honda Satellite-Linked Navigation System™ guiding your drive every step of the way. Safety comes standard on the all-new Passport with the impressive Honda Sensing® suite of safety and driver-assistive technologies protecting you from life’s unexpected moments. Equipped with features like a Collision Mitigation Braking System™ (CMBS™), Road Departure Mitigation System (RDM), Lane Keeping Assist System (LKAS) and much more, you can truly live in the moment and enjoy the journey ahead. 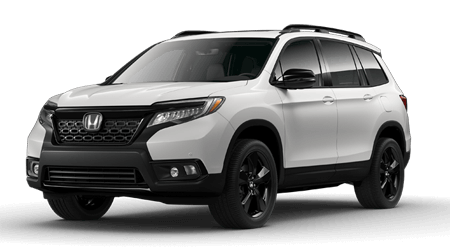 If you’d like to learn more about the all-new 2019 Honda Passport in Morristown, TN, give us a call or stop by Honda Morristown at 4190 W Andrew Johnson Highway, Morristown, TN 37814 today. We look forward to serving our customers from Morristown, TN, and throughout the greater Knoxville, TN, area.